← Dangal: In Phogat’s words, Shaabash! Only few days ago, I was quoting Om Puri from Kundan Shah’s Jaane Bhi Do Yaaron. It all began with having a good laugh over the feisty little nephew’s treatment of a toy archery set and my recollection of the 1983 classic’s hilarious Mahabharata parodywherein, among many other antics, a sloshed Om Puri further disrupts an ongoing play fast turning it into full-blown mockery. Puri’s Ahuja is as devilish as they come but he infuses his boorishness with such unembarrassed irreverence, it’s impossible to not enjoy it. 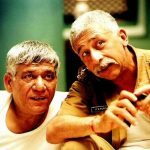 As I remember the same scene today, following the news of Om Puri’s demise, all I can do is sadly wonder, ‘Yeh sab kya ho raha hai?’ Only it’s not in the least bit comic. How uncomfortable it is to witness such wonderful artists, ones I’ve grown up admiring, depart one after another. 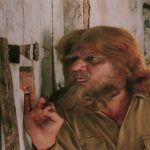 Among the finest Indian actors, voices and smiles to grace the stage and screen, Om Puri’s uniqueness, always so fluid and natural, cannot be summed up in a few words. One we probably took for granted, as we tend to with fine actors of modest star appeal and generous access — blissfully assuming they’ll always be around to dazzle and deliver. 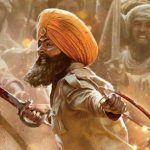 What I liked most about the legend is he how never let the odds get to him. He refused to let his underprivileged background or conspicuous unconventionality kill his passion or dreams. Instead in an industry driven by superficiality, he compelled the audience to look past the surface and discover an intense presence and complex soul. Even if the last few years were smeared in controversy over an ugly marital tiff and movie projects that belittled his genius, Puri’s overall contribution to his art is too significant to get diminished. To list every single memorable performance from his vast body of work is impossible. But it’s safe to say these 15 instances below showcase his creativity at its most accomplished. In a National-award winning turn, Puri slips into the skin of an anguished farmer struggling to retrieve his land in a manner that’s so credible, the upshot is disturbing and heartbreaking. 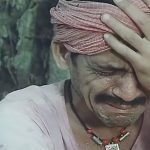 Nothing makes a crushing statement like a soul-stirring cry after prolonged silence of a repressed, tortured soul and Puri conveys it most hauntingly in the Govind Nihalani-helmed milestone. 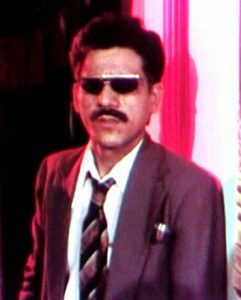 Anyone in need of a masterclass in realism and intensity ought to watch Om Puri’s brilliant portrayal of a fair, frustrated cop in Ardh Satya. In Satyajit Ray’s made-for-TV adaptation of Munshi Premchand’s short story highlighting the evils of caste system, Puri is scarily convincing as the meek farmer adhering to the diktats of a hierarchal society till he’s met a forlorn conclusion. Puri’s aptitude for ‘sutradhar’ roles and free flowing soliloquy is highlighted aplenty in Ketan Mehta’s quirky folk drama in Gujarati. 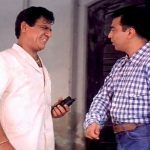 Kundan Shah’s entertaining satire hits another level of hilarity every time Puri’s drunk, business-minded builder shows up. Some of the most nail-biting moments of Mirch Masala come about in Puri’s pitch-perfect histrionics as the sage, valiant guard of a local chili factory. Just that image alone of Om Puri trying to put away a pig in Nihalani’s volatile and tense Tamas, depicting the horrors of Partition, deserves a place in movie history. 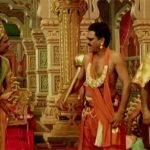 Apart from providing Shyam Benegal’s magnum opus for Doordarshan its rich, elegant narration, Puri is reliable as ever pitching in as the show’s recurring actor as Aurganzeb, Ashoka or Duryodhana. 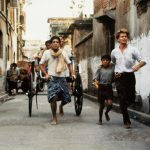 Often representing the exploited, downtrodden section of the society, Puri renders a vulnerability and disquiet that never once feels manufactured as evident in his international stint headlined by Patrick Swayze, namely City of Joy. 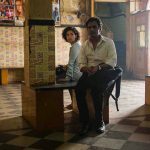 Om Puri shows a complete grasp of the hopes and schemes of Mumbai inhabitants effortlessly alternating between the real and surreal workings of Sudhir Mishra’s fascinating offering. 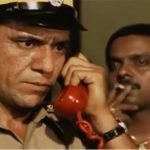 Cellular ki kasam, there’s not one wrong note in Puri’s take of the sneaky, sycophantic and doltish manager in the Kamal Haasan vehicle. A terrific Om Puri succeeds in humanizing the rather disagreeable Pakistani Muslim patriarch too rigid in his ways to understand the culture identity plaguing his mixed race kids. In casting long-time friends and colleagues — Puri and Naseerudin Shah as the creepy, cackling cops, Pandit and Purohit — in his version of Shakespeare’s Macbeth, Vishal Bhardwaj pays a befitting tribute to their magnificent chemistry. 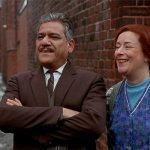 Om Puri’s real-life love for cooking is delectably expressed as the desi cook in countryside France charming Helen Mirren and the audience in Lasse Hallstrom’s lighthearted drama. This entry was posted in Columns & Reviews and tagged aakrosh, ardh satya, arohan, best, bharat ek khoj, bhavni bhavai, chachi 420, city of joy, dharavi, east is east, jaane bhi do yaaron, maqbool, mirch masala, om puri, sadgati, tamas, the hundred foot long journeye, tribute. Bookmark the permalink. 2 Responses to Saluting Om Puri: Face of reality!